 Find and investigate your next tenant.  Create a photo Inventory and check it when tenants arrive and before they leave.  Make sure the property is clean before and after tenants leave.  Handle all aspects of promoting your property with third party listing Agents, Sites, Digital ads, Social Media and Marketing Strategies. In our opinion, these websites are the best and most established rental sites that works for Baja. We feel confident they should be part of every rental advertising portfolio. Cash, Deposit, Domestic Transfer, International Transfer (fees apply). 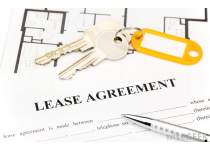 Cost of Service: Commission for New Tenant: First month (12 months lease) Commission for Renewed Tenant: Half month.